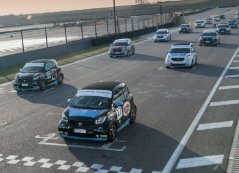 Formed in 2010, the Club provides you with the widest range of access and proactive information on all smart related activities within the world of motorsport. 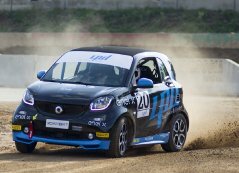 In 2019, in addition to bringing you the news and results from the 4twocup,we are also delighted to support the smart EQ fortwo e-cup Italian race and rallycross series. Results from all events provided below. All content (c) 2000-2019 thesmartclub limited. Your use of this site and our services are subject to you agreeing to our Terms & Conditions and Privacy statement In addition, your use of our Forum services are subject to the additional relevant regulations detailed in this site. The smart logo (c) 2019 DaimlerUK Ltd. 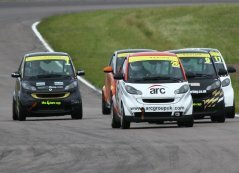 The smart Racing Club is a brand of thesmartclub ltd. Company Number SC259434, Registered in Scotland, UK - see 'Contact Us' for full details. thesmartclub logo, The smart Racing Club logo and "the place for all things smart" and "the home of smart motorsport" are trademarks of thesmartclub ltd. The '4site logo' is a trademark of thesmartclub Magazine.